Born in British Columbia, Canada, he spent his childhood immersed in music. He picked up the saxophone at the age of 12 and has been playing ever since. After high school he devoted himself to the study of classical and jazz saxophone earning a Bachelor's degree in Music Education from Adams State College (Alamosa, CO) and a Master's degree in Saxophone Performance and Jazz Pedagogy from the esteemed University of Northern Colorado. While at the University of Northern Colorado, Darren studied with renowned classical saxophonist Roger Greenberg and acclaimed jazz educator Gene Aitken. During this time, he was also the recipient of several prestigious Downbeat Magazine awards as one of the top university saxophonist soloists in the United States. After college, Rahn immediately focused on his career as a performer and producer. 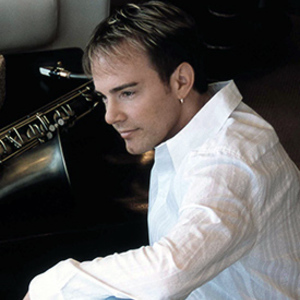 A seasoned performer, Darren has played at some of the most respected venues in the contemporary jazz including his headline performance at the 2006 Jazztrax Catalina Island Jazz Festival. This young saxophonist has produced, recorded and performed with an impressive roster of notable artists including Dave Koz, Jeff Lorber, Wayman Tisdale, Kirk Whalum, Bob James, Jonathan Butler, Brian Culbertson, Tim Bowman, Jeffrey Osborne, Phil Perry, Eric Darius, Kim Waters, Gregg Karukas, Brian Simpson, Jay Soto, Dave Sereny, Nate Harasim and many others.